How Do I Obtain My Individual Taxpayer Identification Number (ITIN)? Home » Individual Taxpayer Identification Number (ITIN)? Individual Taxpayer Identification Number (ITIN)? All persons owning rental property in the U.S. must have an Individual Taxpayer Identification Number (ITIN). 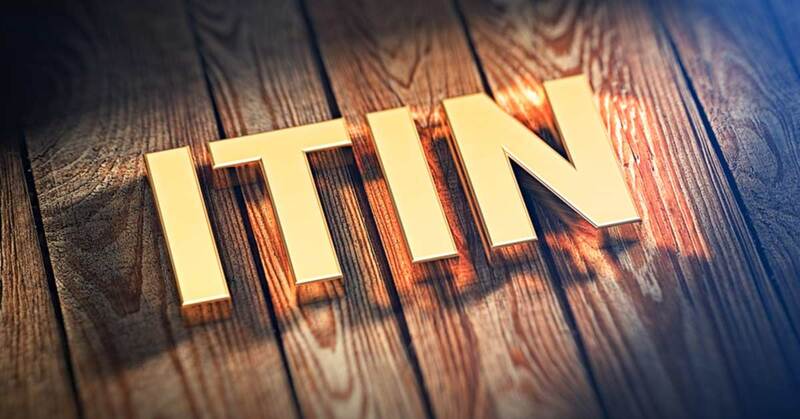 An ITIN is for tax purposes; it is not valid for personal identification. The ITIN does not entitle you to Social Security benefits; it does not entitle you to work in the U.S. and it creates no inference regarding your immigration status. IRS issues ITINs to individuals who are required to have a U.S. taxpayer identification number but do not have, and are not eligible to obtain a Social Security Number (SSN) from the Social Security Administration (SSA). ITINs are issued regardless of immigration status because both resident and non-resident aliens may have U.S. tax return and payment responsibilities under the Internal Revenue Code. In order for us to apply for your ITIN, please complete, sign and return Form W-7 (one per owner) along with the appropriate identification documentation. The requirements for acceptable identification documentation has recently changed – please contact our office for assistance. The IRS has announced changes in the Individual Taxpayer Identification Number (ITIN) program which will require many ITIN holders to renew their numbers. The change comes as a result of The Protecting Americans from Tax Hikes Act (PATH) passed by Congress last December. Under the PATH Act any ITIN that is not used on a federal tax return for three consecutive tax years will expire on December 31st of the third consecutive tax year of nonuse. For example – an individual applied for and received an ITIN in 2015. The ITIN was used in 2015 on the individual’s 2014 US Income Tax Return. If the individual does not file a tax return in 2016, 2017 and 2018 the ITIN will expire on December 31st 2018. This rule applies to all ITINs regardless of when the ITIN was issued. ITINs issued prior to January 1st 2013 that have been used on a tax return in the last three consecutive years are set to expire based on a multi-year schedule. ITINs containing the middle digits of 78 or 79 require renewal ahead of the 2016 tax filing season. ITINs with middle digits 70, 71, 72 or 80 require renewal ahead of the 2017 tax filing season. ITINs with middle digits 73, 74, 75, 76, 77, 81 or 82 require renewal ahead of the 2018 tax filing season. Further information regarding the expiration schedule and renewal process for ITINs issued before 2013 will be posted as it becomes available. Harding Bell International is an IRS appointed Certifying Acceptance Agent (CAA) and can assist with the certificate of original documentation required to accompany your ITIN application.